The Benson Blacksmith Shop is a working recreation of R.P. Benson & Son, Horse Shoeing, one of Kennebunkport’s landmark businesses. The shop is fitted out with Benson’s original tools, photography, memorabilia and diaries that record the history of Kennebunkport in the early 1900s. 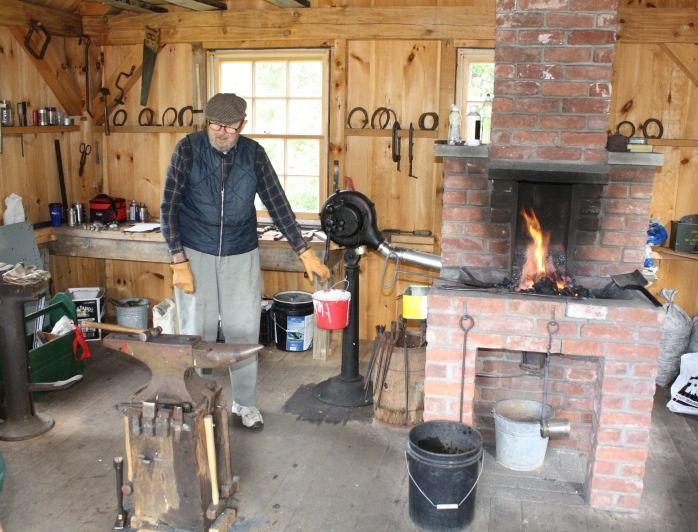 Visitors can observe the working forge and learn about the art of the farrier’s trade. The Benson Shop is located at 125 North Street. Call for schedule.